Before you throw that used brick in a landfill, remember that reclaimed or recycled building materials can fetch a tidy sum. Used brick develops a patina that makes it more attractive to many homeowners, builders and landscape pros. With a little effort on your part, you can sell your brick to a contractor or private party. Selling bricks may take a little time, but it's not difficult to find the appropriate buyers. An overhead view of bricks on a cement surface. Sort your used bricks first. 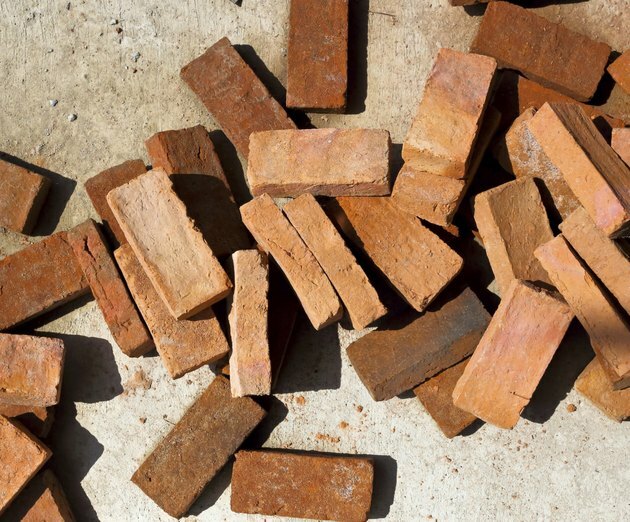 Place all bricks that are chipped or broken into a pile -- you may not be able to sell these. Place all good quality bricks into a second pile. Find green, or environmentally conscious, contractors in your community. Call these local companies and inform them that you have used brick to sell. If you can agree on a price, a contractor may purchase your bricks and use them on a client's home. Place a free ad online using your local version of Craigslist or similar classified-ad sites. 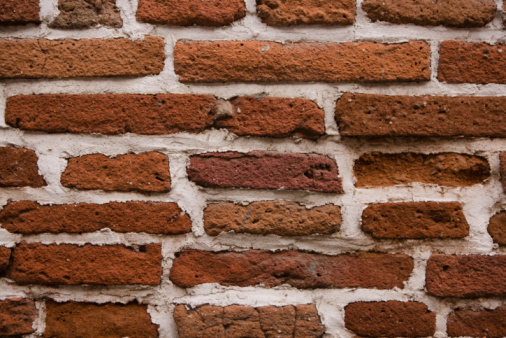 Be sure to adequately describe your brick, the amount that you're selling, and the price. If you have a large quantity of bricks, it may be worthwhile to buy a small ad in your community newspaper's classified section. Show interested parties your used bricks, either in person or by emailing photos to them. Review your offers and select your buyer based upon price and quantity. It's better to sell all of the bricks to one customer than a handful to someone who is willing to pay more per brick. Donate used bricks to a non-profit organization that uses building material -- such as Habitat for Humanity -- if you are unable to find a buyer. Remember to obtain a receipt for your donation so that you may claim a tax deduction later.